Modulation effects vary in how they colour an audio signal, but in general are something that effect pitch, motion and/or amplitude. 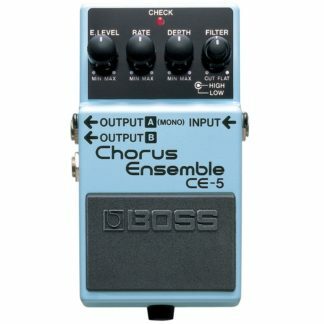 Most modulation effects can be defined into five blanket categories: chorus, phase, flanger, tremolo and vibrato; each with their own specific sound and variation within. 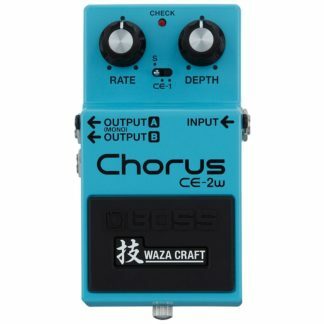 Chorus works in a similar way to a doubling effect and is achieved by doubling your guitar or instrument sound, delaying it and modulating the pitch. 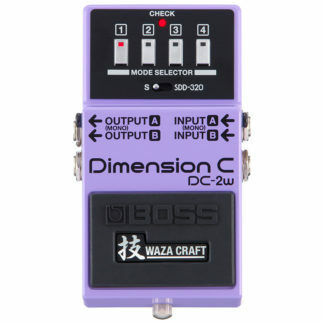 This results in a detuned second note that widens your sound and offers pitch modulation. 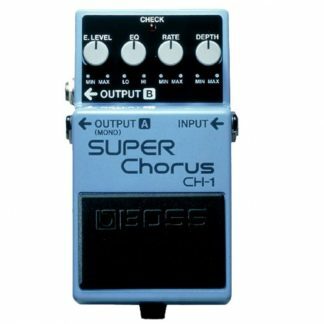 Famous chorus pedals such as the Boss CE1, Electro Harmonix Small Stone and others have been used by countless guitarists but have been popularized by the likes of Andy Summers from The Police, Robert Smith from The Cure, Kurt Cobain from Nirvana and countless others. Phasers work by shifting different frequencies out of phase and spacing frequency notches evenly across the frequency bandwidth. This results in a moving ‘swoosh’ sound that gives your signal movement. 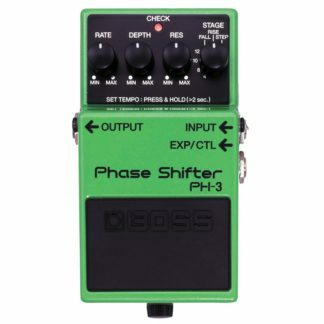 Pedals such as the MXR Phase 90, Electro Harmonix Small Stone and others have been popularized by the likes of Kevin Parker of Tame Impala, Dave Gilmour from Pink Floyd, Johnny Greenwood from Radiohead and many others. 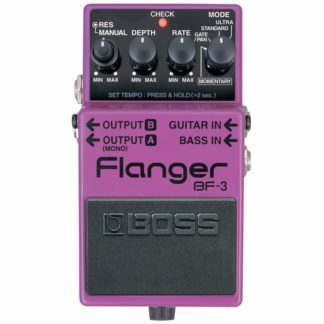 Flanger pedals colour your sound in a way not too dissimilar from a phaser. Flangers such as the Electro Harmonix Electric Mistress and MXR Flanger add delay to spacing frequency notches across your signal in a sound that can sometimes replicate a jet like tone. 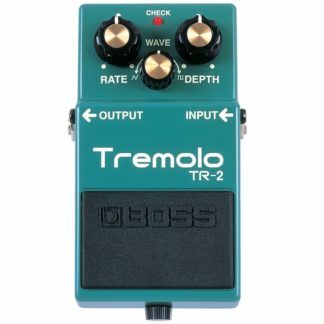 Tremolo is an amplitude modulation effect that was initially implemented on many guitar amps and still is to this day. 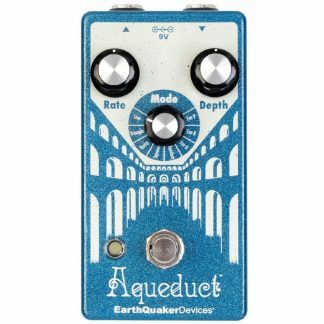 By modulating the volume of your signal, tremolo pedals such as the Fulltone Supa Trem and Vox Repeat Percussions give volume movement to your guitar signal that has been used in countless musical genres across the years and popularized by the likes of Creedence Clearwater Revival, Spiritualized, My Bloody Valentine, Radiohead and more. Vibrato is similar to chorus except that it is not doubling the pitch modulated sound with your dry signal, you are only hearing the modulated sound. 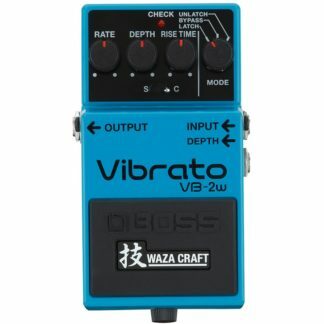 Pedals such as the Boss VB-2 have been used to offer a fast rotary like effect or sometimes a warped effect that has been popularized by the likes of Tame Impala, Wilco, Mac Demarco and more. 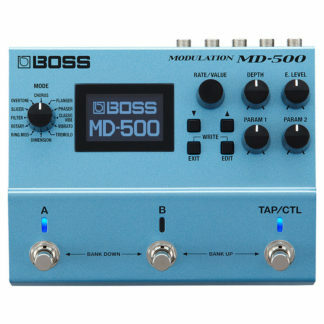 Our range of modulation effects includes brands such as Electro Harmonix, Boss, MXR, Earthquaker Devices, Strymon, TC Electronic, Walrus Audio and more. We have a diverse range with free shipping Australia wide. Browse the range in our online store or pop by our shop to speak with our staff if you need assistance in buying the right pedal for you.